In a special meeting held Jan. 30, the Liberty Township Board of Trustees tabled a resolution to disband the Liberty Township Development and Annexation Citizen Advisory Committee. Trustees pulled the resolution from the table and disbanded the committee Tuesday in their regular session. 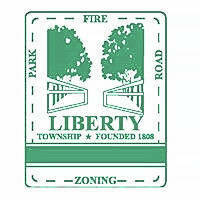 In place of the committee, a resolution was approved by trustees to form the Liberty Township Sawmill Parkway Development Committee. Trustee Shyra Eichhorn said the resolution should be tabled after talking with Powell City Council member Brian Lorenz. She said Lorenz saw the action as premature, but the city council wasn’t opposed to it. Trustees Mike Gemperline and Leneghan voted yes to approve the resolution to form the committee, while Eichhorn voted no. According to the resolution, the committee will consist of at least two, but not more than three members appointed by the board of trustees charged to work with a similar group appointed by the City of Powell. The focus of the charter will be to ensure the development of Sawmill Parkway is mutually beneficial to both the township and the city. The resolution states the chair of the board of trustees will serve as the representative between the board and the committee. Greg Tunis and Jerry Beigel were appointed as members of the committee. In the Jan. 30 meeting regarding the dissolving of the committee, Beigel, the committee chairman, confronted the trustees about the disbandment. Beigel was able to get the resolution tabled and the action to dissolve the committee delayed. Township Administrator Matt Huffman said a member of the committee had sent a letter to be read into the record. Leneghan quickly declined to have the letter read. Eichhorn interrupted by halting the vote on the resolution. Eichhorn did admit to being bias about the committee, because it was something that she was very passionate about. “I would like to put on the record just how much I appreciate your time, and I really hope they continue to stay active in the township,” she said. The Gazette obtained a copy of the letter from its author, John K. Hartman, member of the committee. The resolution to form the committee was approved by Leneghan and Eichhorn on April 17, 2017. Hartman states that the committee held several meetings, reviewed documents and relative materials for the education of the committee. He said the committee met with the trustees and received no guidance nor criticism. Gemperline expressed his appreciation for the time put in and their interest in the community. “The committee doesn’t have to end. We’re just not going to be sanctioning it,” he said. Leneghan and Gemperline voted yes to approve the resolution to dissolve the committee, while Eichhorn voted no on the action. This entry was tagged D. Anthony Botkin, Eichhorn, Gemperline, Lenegahn, Liberty. Bookmark the permalink.